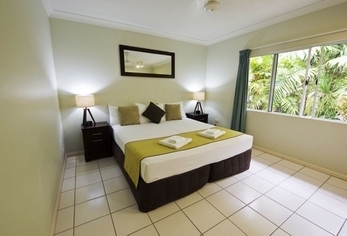 Cairns Beach Accommodation provided by Costa Royale Beachfront Apartments offers fully self contained Trinity Beach Accommodation and is nestled in an oasis of quietness and tropical landscaped gardens on the foreshore of Trinity Beach. Where is Trinity Beach Spectacular Trinity Beach is located 20km North of Cairns, was voted Cairns Beach of the Year by the locals, is set in the midst of two World Heritage areas - The Great Barrier Reef and the Daintree Rainforest - and is popular with visitors from all over the world. Trinity Beach is 1km of golden sands and is safely nestled between two headlands, providing an ideal bay in which to enjoy relaxing pursuits along its palm-fringed shores. 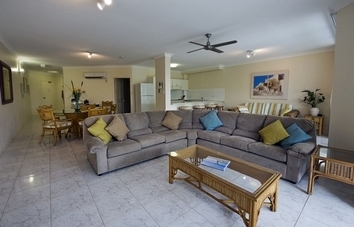 You can just lay and enjoy soaking up the Queensland sun, build sand castles with the kids or experience some of the popular beach activities on offer. If you get enough of that then there is always exploring the many tours that depart Trinity Beach daily. 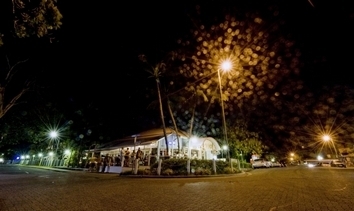 Whether it's an exotic culinary experience, plain old Aussie tucker, coffee and cake, BYO, licensed or a "home" delivered takeaway, there's sure to be an eating experience at Trinity beach which will tantalise your tastebuds. There's over ten excellent eateries in the area, ranging from Italian to Thai to good old fish and chips and are all a short stroll from Costa Royale. 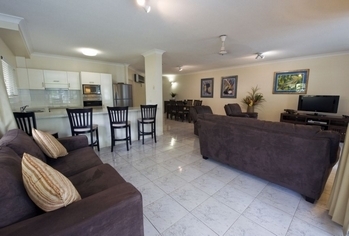 Choose to stay in a spacious 2 Bedroom Garden Townhouse with private courtyard or a superbly appointed Beachfront Apartment with magical ocean views. 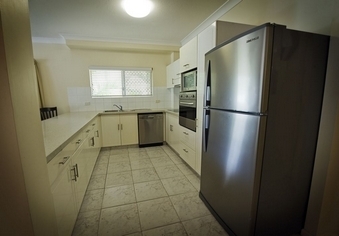 Every apartment is air-conditioned throughout, has full kitchen and laundry facilities and secure parking. 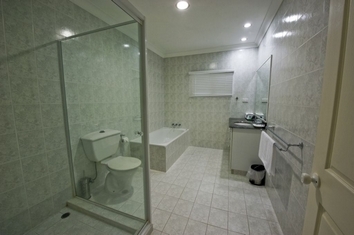 All beachfront apartments have a private spa bath, free wi-fi and a big balcony overlooking spectacular Trinity Beach. 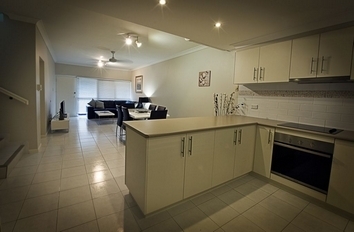 Our Townhouses are split level with spacious bedrooms and have there own lock-up garage. Cots and high chairs are available upon request. Our complex has it's own saltwater pool, brand new bbq and in the pool area we offer free wi-fi for our guests and secure parking. You also might like to take advantage of our offsite gym membership which we offer free of charge. 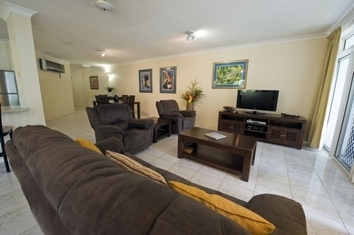 You are sure to enjoy your stay and the personalised service you receive at Costa Royale from your hosts Craig, Alicia and Laurie who have over 15yrs experience and knowledge of the treasures of Far North Queensland and Trinity Beach. 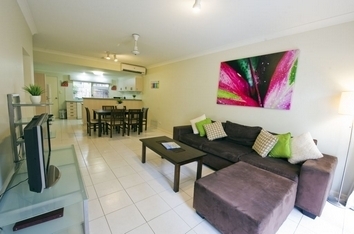 Our Goal is to make your Cairns holiday the best ever. 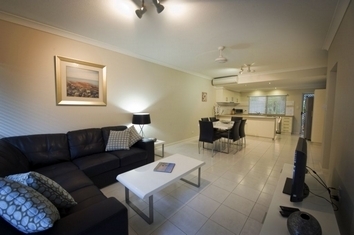 Spacious and private apartments featuring your own private courtyard, fully self contained,Laundry facilities, private secure undercover parking,tour desk, cable TV, free off site gym membership, 120m from the beach. Complimentary off-street parking that is secure and undercover is available to all guests. We can arrange airport transfers for you from the airport. Must be pre booked. When driving to Costa Royale from the airport, turn right at the traffic lights travelling in a northerly direction along the Captain Cook Highway for approx. 15 mins. Turn right at the Trinity Beach roundabout, travel to almost the end of Trinity Beach Road, at the last roundabout turn right into Moore Street. There are endless options for half, one or two day activities including tours to the Great Barrier Reef, Cape Tribulation and the Atherton Tablelands. It is suggested that you arrange car rental (if required) and book all your tours upon arrival as we can provide you with professional advice on the best tours and you will receive a 5% discount.